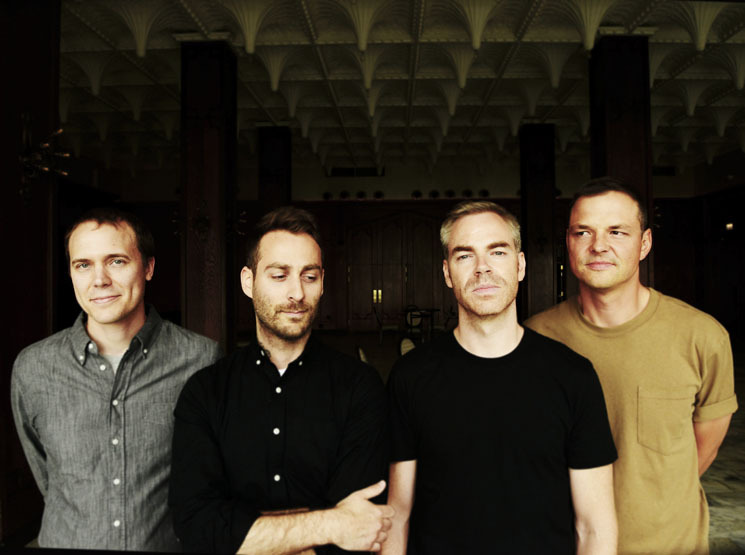 For years, Mike Kinsella's one-and-done trio, American Football, were an afterthought to his other legendary group Cap'n Jazz. After 17 years, they followed up their single self-titled album with another, but now the trio are the predominant influence on a wave of young emo-leaning bands. Labels like Topshelf, Run For Cover and Tiny Engines are packed with artists who directly and indirectly owe a debt to AF's twinkling guitars and plaintive lyrics. Here are five albums that honoured that legacy this year. Evan Thomas Weiss continues to hone his voice on third album Standards, pushing his snaking, Kinsella-esque guitar lines to new heights. AF played their guitars with open tunings to convey space, accentuating the size of their sound. This Orlando quartet adopt a similar style, imbuing this third LP with an oversized sound and a sense of catharsis. Minnesota's Tiny Moving Parts marry impressive guitar work with massive pop punk hooks. The trio's third LP injected some much needed joy into a scene caricatured for its sadness. Previously known for their wry one-liners, Philadelphia's Modern Baseball took a more earnest turn on Holy Ghost, taking personal turmoil — mortality, mental illness — and molding it into confessional art. Though mostly a studio project, there's a pastoral peace to AF's music that the Hotelier took to its inevitable end on Goodness, which both looks and sounds like the Worcester, MA crew left the modern world for a life in nature. More Into It. Over It. Modern Baseball Cancel Upcoming Tour to Take Care of "Our Mental Health and Our Friendships"